Being a Senior Video Editor at TechWiser, I usually work on Final Cut Pro X for editing our YouTube videos. Though despite it’s extremely smooth workflow, Final Cut Pro X isn’t for everyone. Besides being a resource-intensive software, it’s also Mac exclusive which is a big entry barrier right there. Adobe’s Premiere Pro, on the other hand, suffers from a bad user interface, long render time, and unreliable cross-platform editing. So when I heard of the latest rollout of Filmora9, I was excited to get my hands on it. The latest release packs in some serious improvements like “Up to 100 Video/Audio tracks”, “PC/Mac Cross-Compatibility” & my personal favorite “Keyframe Audio Editing”, among other improvements. So let’s dig more into Filmora9. When you open the software, you can create a new project or open an existing one. You no longer get the options of “Instant Cutter” or “Easy Video” modes which were present in the previous versions. Moving on, the sleek and modern interface immediately reminds me of Final Cut Pro X (which is a good thing). 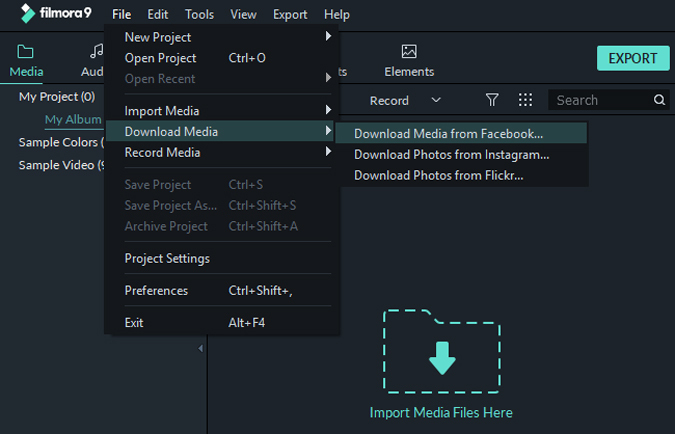 On the top left, you can import your media files into the project library, where you can also create bins/events. Both, the essential & advanced tools like “Split” & “Advanced Color Tuning” can be found directly above the timeline. In fact, every tool and icon placement is quite intuitive. 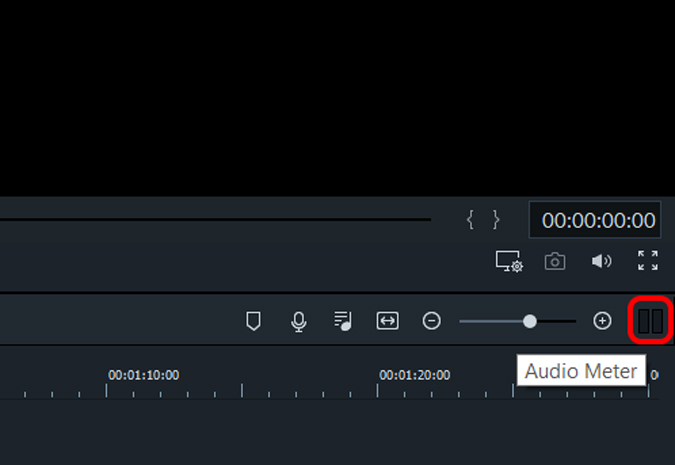 For example, when you click on the small “Audio Level” icon next to the zoom handles, it quickly expands an audio leveling window on the left. 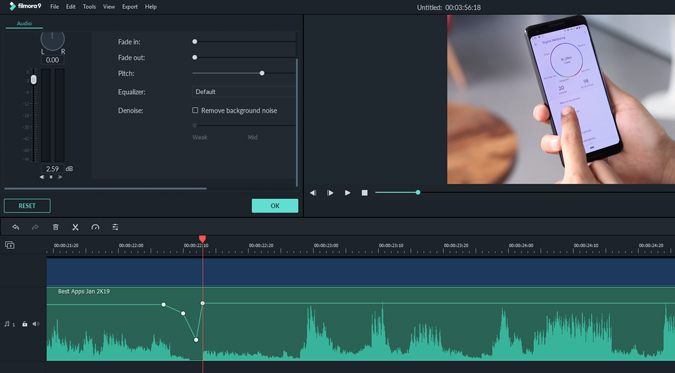 The similarities don’t end at the user interface, Filmora9 also draws heavily from Final Cut Pro when it comes to enhancing & speeding up the editing workflow. Thanks to the latest update, you can finally add up to 100 video & audio tracks; Phew! That out of the way, you do have the “magnetic” timeline which needs some time getting used to. The current update also allows you to adjust the track sizes which makes it easier to see your audio waveforms. Speaking of which, you can even add keyframes now within the audio tracks for better sound editing. 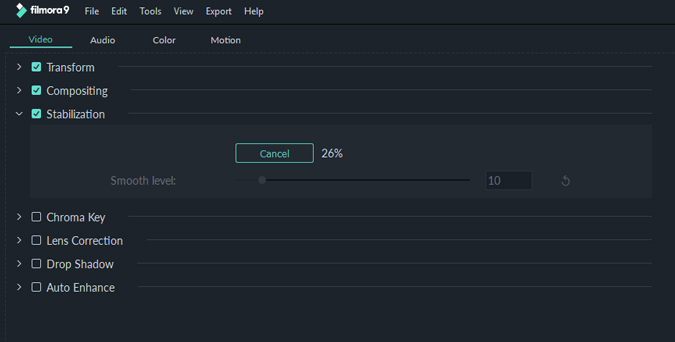 But, my personal favorite feature of editing in Filmora9 has to be the zoom in/out gesture within the timeline. The ‘long press & drag’ gesture is much easier to use compared to using the traditional zoom handles on both the Final Cut Pro X & Premiere Pro. I really wish the more advanced editing software could borrow this particular feature up its sleeve. Similarly, even the keyboard shortcuts in Filmora9 are easy to remember; for example, “Ctrl + B” (Cmd + B on Mac) for Split and “Ctrl + Z” (Cmd + Z on Mac) for Undo. Unfortunately, you can’t customize the keyboard shortcuts. Lastly, I was surprised to find that Filmora9 also lets you download your media files from Facebook, Instagram & Flickr. Once logged in, you can download your uploaded photos & videos. Quite a nifty touch I must say. Filmora9 follows up on a vast pool of pre-loaded and downloadable transitions & effects. Besides the usual filters and overlays, you’ll also find helpful text templates like “Subtitles” which lets you choose from different kinds of text fonts and colors for your subtitling. I was also impressed by the “Elements” template which basically contains animated symbols & shapes. So if you’re editing a casual family video, try adding some “Hand drawn sketches” or better these “animated pet faces” and it’ll lighten up the final video. Or say if you’re making a tutorial video, then adding the markers from the “Tutorial” menu are super helpful. 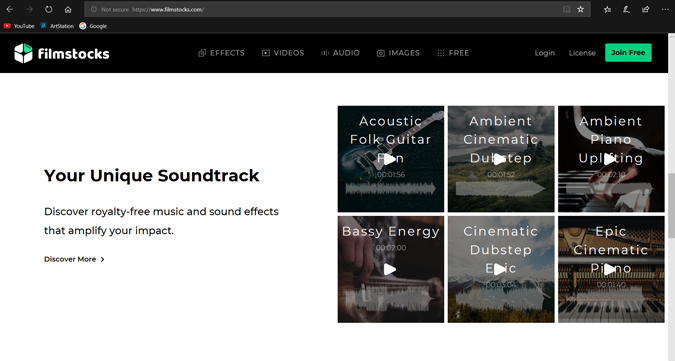 Filmora’s online library features downloadable effects from filmstocks, royalty free music, and stock videos & images, which are neatly classified by popular tags like travel, architecture, nature, etc. In addition to the free effects, you can also subscribe to the standard or a premium plan to access additional stock media. If you’re a student, you can grab 20 percent off on the subscription. I know, we were all waiting to check out how the brand new stabilization tool in Filmora9 performs like. To spill the beans, I am a bit underwhelmed by the performance but not surprised. To be honest, even powerful editing software like Premiere Pro struggle at producing perfectly stabilized videos. Nonetheless, improving the tool is definitely a step in the right direction. Filmora supports video formats like MP4, WMV, HEVC, AVI, MOV, F4V, MKV, TS, 3GP, MPEG-2, WEBM, GIF & MP3. Also, you can directly export videos to video hosting sites like YouTube & Vimeo or burn it directly to a DVD. For testing the rendering speed, I used the Dell Inspiron 5558 (5th gen i5). For a 4:27 minutes video, the rendering took about 15 minutes which isn’t exactly bad when compared to Premiere Pro. The best part about using Filmora9 is that you can use all the features of the software for free. But like with all good things, there’s always a catch. 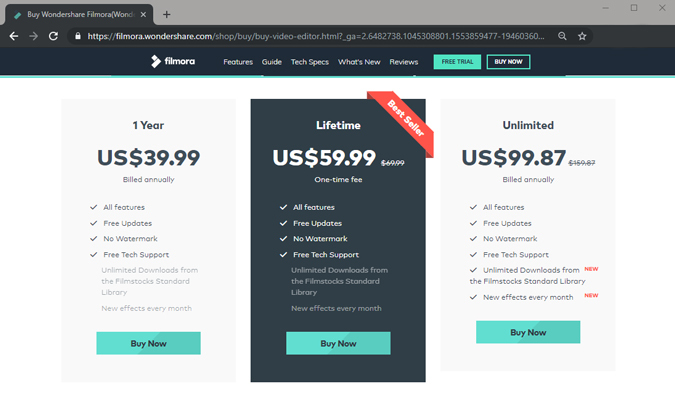 Wondershare prompts you to download a trial version of Filmora9 which exports the videos with a watermark. So you’ll have to purchase either a yearly or lifetime license in order to remove it. Although the pricing is pretty competitive in my opinion I must raise a complaint here. 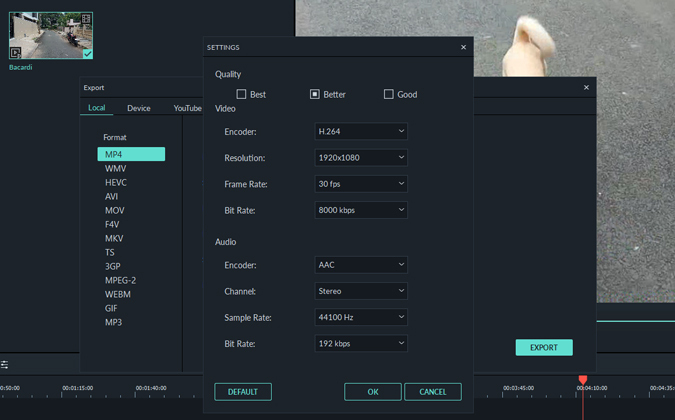 The product description page of Filmora9 coyly dodges the limitation of the trial version i.e. watermark. Even while editing the video, you don’t see any watermark in the preview window. You only realize it once you watch your exported video. So I’d like Wondershare to be more upfront about this limitation in the trial version of Filmora9. 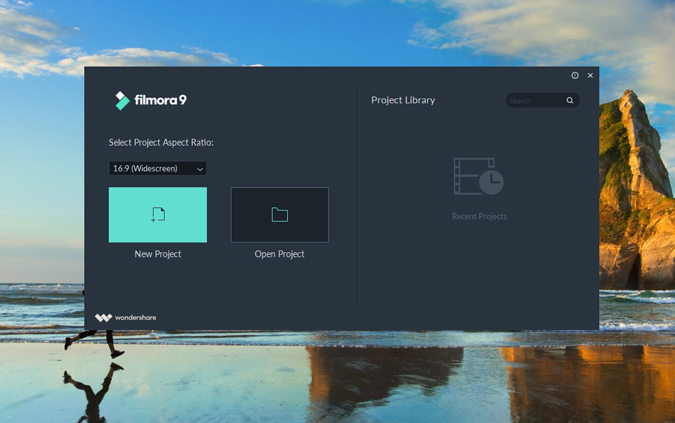 So, is Filmora9 the best alternative to Windows Movie Maker & iMovie as claimed by Wondershare? Well, I would say yes for most parts. The software is really easy to learn, thanks to the intuitive user interface. Combine it with the in-built animated effects & the Filmstocks online library, and the Filmora 9 begins to punch above its weight.